Oh, these videos are so cool!!!! Thanks to Dubious Quality for linking these. A few weeks ago, it was a Sunday, i was bored more than my usual amount. For whatever reason i decided to do some online chatting. I had not done this since the first couple of years i came back to Cyprus after my studies. I think it was around 2002. There was a lot of “garbage” to go through, most of which was M looking for F. There were also many Chinese and Indians. An Indian i spoke with was studying hotel management and his dream is to run a 5 star hotel. I liked this guy, the freshness of youth! Eventually i settled down with two Strangers. The first was a F student from Australia, early 20s. This was a slow starter. It was a bit boring in fact. What do you do and this kind of stuff. Then the conversation switched to music and we took turns giving each other songs to listen to. Songs we liked and hoped the other one would too. It turned out to be awesome. F was into R&B whereas i was mostly into rock. She made me feel old at some point though when i mentioned that i liked Dire Straits and she said that they were one of her dad’s favourite bands……. Stranger number 2 was Victor from Argentina. Early to mid 20s if i remember correctly. Victor and I talked about books. At the time he was reading The Myth of Sisyphus, by Albert Camus whereas i was reading Ender’s Game. He was surprised that we were having this kind of conversation on Omegle. Victor was very much into European writers and he pointed out that i was primarily focused on Anglo/Saxon. He made me very conscious of this and I’d like to make a few adjustments to the books i read now. It was very ironic that we were talking about Camus and we were both talking to Stranger! Although the excitement of conversation seems to have worn off now it was pretty cool and we even ended up exchanging a couple of emails. I logged in again and this time i only talked to a young man who is a filmaker in DC. I lied at first when he asked where i was from. I said Greece and immediately he replied “Giorgos Lanthimos” and after pleading ignorance of the name he told me that he was the director of Dogtooth, a film i have actually watched…. After talking for a while, he actually sent me an invitation to join Letterboxd which is a great site for rating films you’ve watched, adding movies to your watchlist and making lists of your own. The best part if that you find movies you’ve never heard of and movies your friends have rated. Then finally, there was the 20yr old from Canada who is studying engineering and at the same time writing a sci-fi novel. He has the whole story and characters in his head. It’s based around his life and the people he’s known over the years. At the moment he’s written 50 pages and i can tell he will finish it quite soon. Unfortunately we were cut off and since the conversations are random we never spoke again. Pitty. When was the last time you had a good conversation with a complete Stranger? Inspired by James Harris’ blog post, Living in the Cloud: Chrome, I’ve finally taken a closer look at the Firefox extensions. I’ve only been messing around with them for a few days now but I can tell you there are some fantastic ones available. I will be mentioning a few every now and then and give my experience with them. Maybe you will find some that suit you if you are also using Firefox. 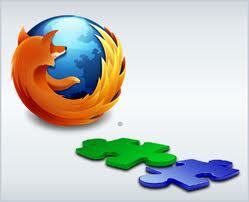 In addition Firefox, much like Chrome, also allows users to synchronise browsers between devices. Therefore any changes you make to your bookmarks, to-do lists and add-ons on the PC at work synchronise to my laptop and home desktop. It actually works brilliantly. I dislike reading on the PC monitor so I can only manage to read a few short articles a day. It’s a combination of the screen and the upright seating position when using a desktop (yes, I don’t have a tablet!). I do most of my web article reading on the Kindle using applications such as Calibre, Instapaper, Read it Later and Send to Reader. Evernote’s Clearly however has been a revelation and it has changed the way i do my reading on the web (admittedly it’s only been a few days, but still!). The add-on allows one to eliminate everything but the text of the main article and therefore reduce the distractions while reading. Reminds me of the Kindle App in fact. In addition there are options to choose from with regards to the font size and the background. My writing does not do justice to the difference it makes to reading. 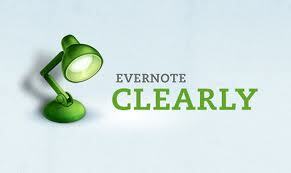 It is also connected to the Evernote application if you are using it’s so it very easy to clip articles. Reader works in a similar way to Evernote clearly. The advantage it has to Clearly is the integration of emailing the article. However, i use a different add-on for emailing articles that so i don’t use it as much as Clearly. Also i prefer Clearly’s ease of use with regards to adjusting fonts and background to Reader’s, although the latter does offer more customization.